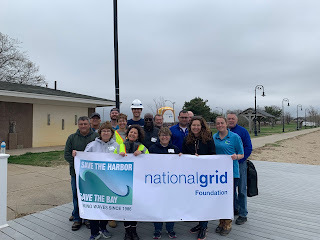 On Earth Day 2019 Save the Harbor/Save the Bay staff teamed up with National Grid for a clean-up at the Department of Conservation and Recreation's Malibu/Savin Hill Beach in Dorchester. Malibu/Savin Hill is a swimming beach along the Dorchester Bay Basin near UMass Boston. This popular neighborhood beach includes great walking paths, green space, and a playground. On Monday the group of 12 employees from NGRID helped to make this property cleaner and more accessible by removing two tons of debris, weeds, and wash up over the course of the day. Volunteers scoured the sand, green areas, and parking lot to pick up debris, and raked storm wash up from the beach. Another team removed phragmites, an invasive sea grass, from the sidewalk and boardwalk. This day of service was part of Save the Harbor's stewardship program, a collaboration with DCR and our corporate partners to help preserve, maintain, and improve the region's spectacular waterfront resources, and National Grid's #GridGoesGreen Earth Day initiative. 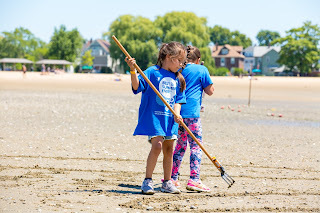 Save the Harbor is proud to work with our partners as we prepare these beaches for everyone to enjoy this spring and of course the coming summer season. 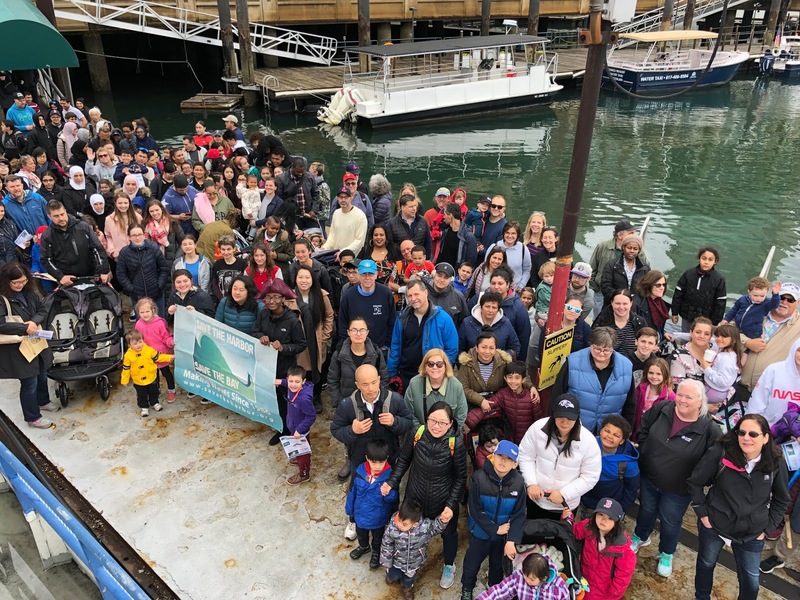 With a light sprinkle in the morning air and the promise of afternoon sun, 850 people from across the region joined Save the Harbor/Save the Bay on Saturday’s three Marine Mammal Safaris as a part of the Share the Harbor program. 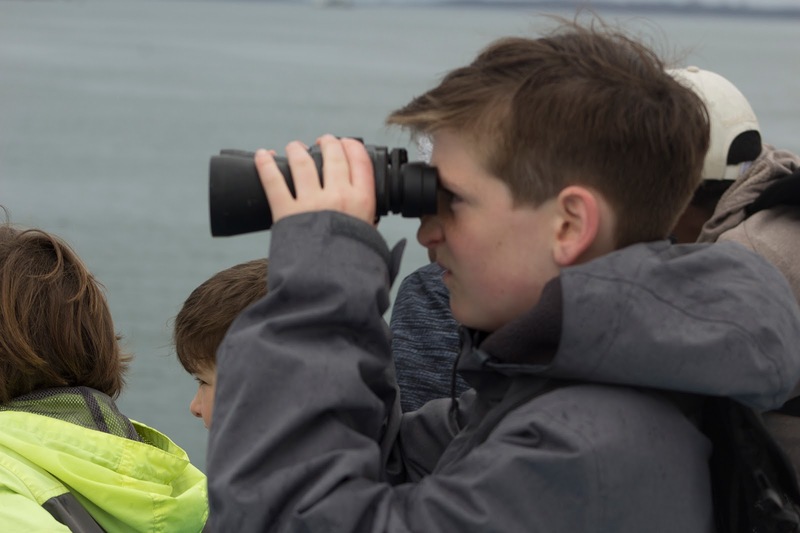 The overwhelming response and turnout topped any of the previous 15 trips, not to mention the copious amount of seals and porpoises spotted on each cruise. 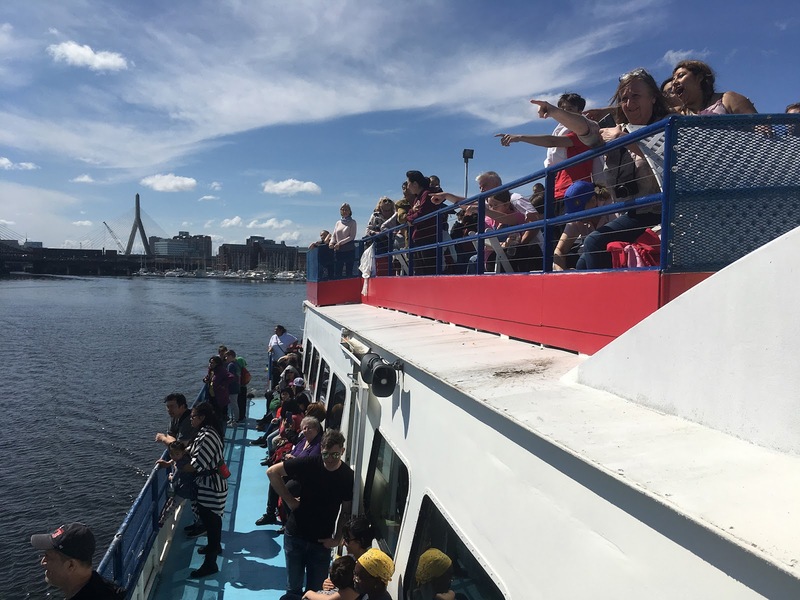 Aboard Massachusetts Bay Lines’ boat Freedom, families, neighborhood groups, and individuals from Boston’s communities and beyond were eager to see what the clean water of the Boston Harbor had in store for them. As the rain subsided, the guests of the first and second cruises were able to see three seals out by the Fish Pier, and even caught a glimpse of the fin of a porpoise gliding sneakily by the Charlestown Navy Yard. The last cruise of the day embarked onto the harbor with 75 degree sunny weather – a great turnaround from the projected overcast skies. Although the charismatic macrofauna were a bit more hesitant to appear for the passengers, as we motored over to East Boston, a plethora of seals and even a few porpoises made an appearance. 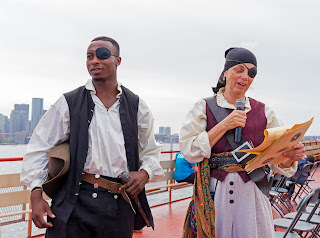 In the moments where there were no sightings of aquatic mammals, Save the Harbor staff donned their pirate hats and sang the sea chanty Haul Away Together to remind those around them that if they work together, just as the pirates did as they hoisted the sails, they can accomplish big things. Those aboard were thrilled to be on the harbor for the first set of Share the Harbor cruises of 2019. In continuing our mission of sharing the harbor for the public to enjoy, Save the Harbor is hosting 7 more free cruises to Spectacle Island and Boston Light throughout the summer and fall months. 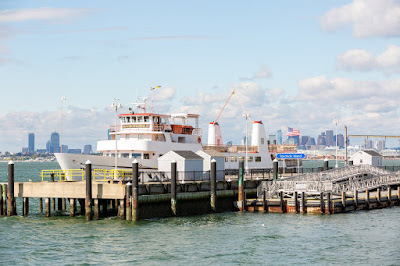 Check out the remaining Share the Harbor cruise dates on our blog, which includes registration links. 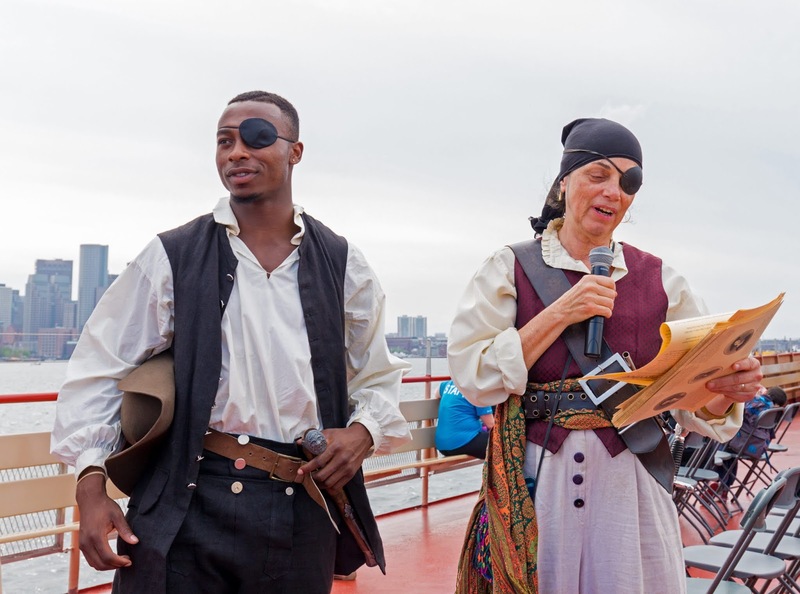 Save the Harbor/Save the Bay would like to thank Massachusetts Bay Lines for their generosity in hosting us aboard Freedom and making it possible to venture out onto the harbor for each safari, while also giving guests great information about their surroundings through historical narration. For more info on Save the Harbor check out our blog, or follow us on Facebook or Twitter to stay up to date on future events! See you all out on the harbor! Save the Harbor is grateful for Partnership Grants from Boston Properties – Atlantic Wharf, The Daily Catch Seaport, Davis Family Charitable Foundation, Eastern Salt Company, Inc., Engie, Fan Pier - The Fallon Company, John Hancock Financial Services, The HYM Investment Group, LLC, The Llewellyn Foundation, Massachusetts Environmental Trust, Massachusetts Port Authority, Mass Humanities, National Grid Foundation, P & G Gillette, Lawrence J. and Anne Rubenstein Charitable Foundation, William E. Schrafft & Bertha E. Schrafft Charitable Trust, and Vertex. Nearly 50 people gathered at the North Shore Community College on Tuesday night to discuss the current state of the public beaches in Lynn and Nahant and to express their likes, dislikes and visions for these beaches. It was the third in a series of nine public hearings being hosted by the Metropolitan Beaches Commission (MBC) in the region’s beachfront communities as part of the process to write a report with findings and recommendations for the Commonwealth. 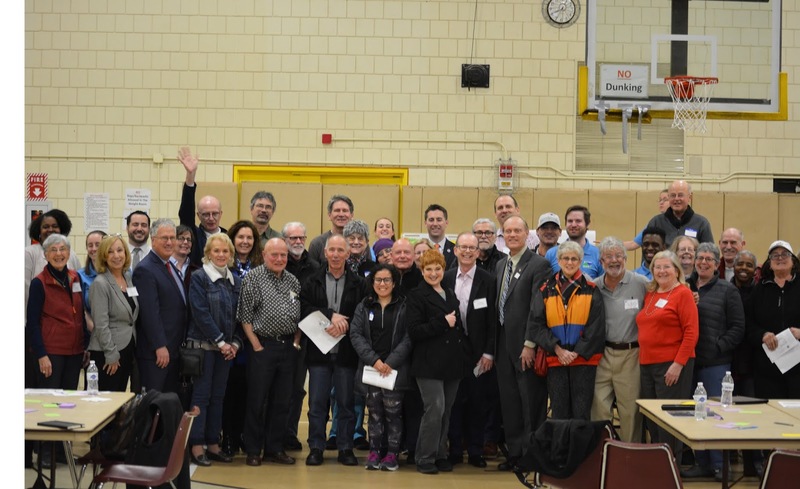 Local Commissioners Representative Donald Wong, Nahant Town Administrator Antonio Barletta, and Robert Tucker of the Friends of Lynn and Nahant Beach also attended and participated in group discussions during the breakout sessions. 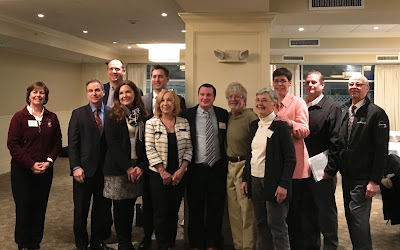 Beach lovers from Lynn, Nahant, Swampscott, and Marblehead attended the hearing where Save the Harbor/Save the Bay, which leads and manages the Commission for the Commonwealth, presented information on the current state of the public beaches. Save the Harbor’s Director of Strategy and Communications Bruce Berman provided an update on the progress that has been made to improve water quality conditions at Kings Beach which faces persistent challenges. Participants mostly agreed that what is working well includes timely trash pickup, the concerts and summer activities, and the landscaping along the beaches. Some groups discussed the improvement in rare birds in the area and the steps that have been taken to protect their habitats. Attendees also praised the Department of Conservation and Recreation’s dedicated work to remove pilayella algae at Kings Beach, while expressing a desire to find a more permanent solution. The small discussion groups seemed to come up with similar notes in the ‘what needs improvement’ category including summer traffic and parking as well as the need to have toilets available all year-round. Many also raised concerns over the water quality challenges related to the Stacey’s Brook outfall and expressed a need for increased signage regarding when to avoid swimming near that spot in the short term. Better protection of dunes was also mentioned, along with the need to invest in improvements to stairwells and handrails. The ‘what’s missing’ category brought about the widest array of discussion topics. Some highlighted pedestrian safety and suggested adding more crosswalks and repainting the existing ones, as well as the need to better enforce the speed limits. Groups discussed the need for more educational signage and programs for people of all ages, the desire for more concessions and vendors along the beach, and a range of creative ideas for new programming and events on the beaches. After the breakout sessions each group reported to the crowd the highlights of their discussion. 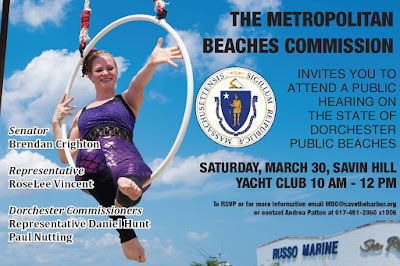 The Commission closed by thanking everyone for their input and inviting them to a regional review hearing on May 18th from 10am-12pm at UMass Boston where the MBC will present their findings and recommendations for Lynn and Nahant’s public beaches and ask attendees to give feedback before the report is finalized. 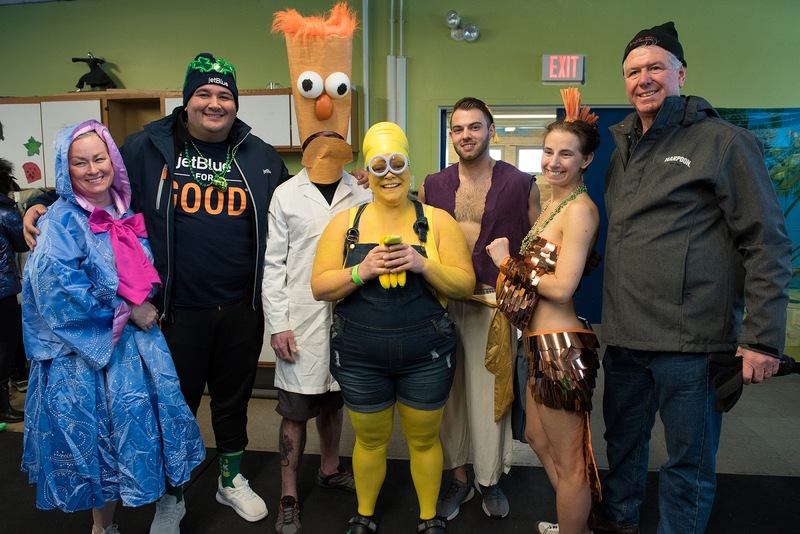 On March 10, 2019, nearly 200 beach lovers braved not only the chilly winter waters but also snowy weather and plunged into Boston Harbor at the BCYF Curley Community Center in South Boston as part of the 9th annual Harpoon Shamrock Splash to benefit Save the Harbor/Save the Bay and the Department of Conservation and Recreation's Better Beaches Program. On Sunday, nearly 200 costumed splashers plunged into the cold waters of Boston Harbor. Photo by Matt Phillips. 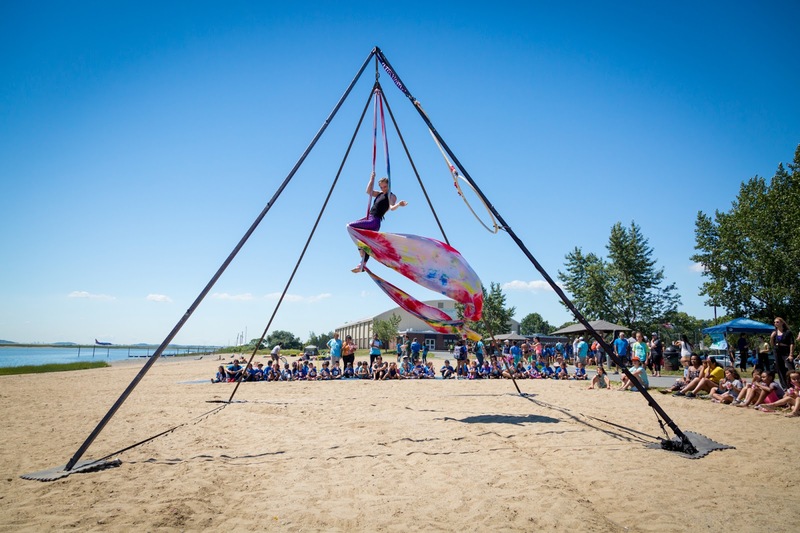 This year, the “pledge and plunge” fundraiser raised more than $50,000 for the Better Beaches Program, which provides grants to community organizations that host free events and programs on the region's public beaches. Each year the program supports free concerts and beach festivals, sand-sculpting competitions, and youth programs on public beaches in Lynn, Nahant, Revere, Winthrop, East Boston, South Boston, Dorchester, Quincy and Hull. You can find the exact tally on the event website at www.shamrocksplash.org. 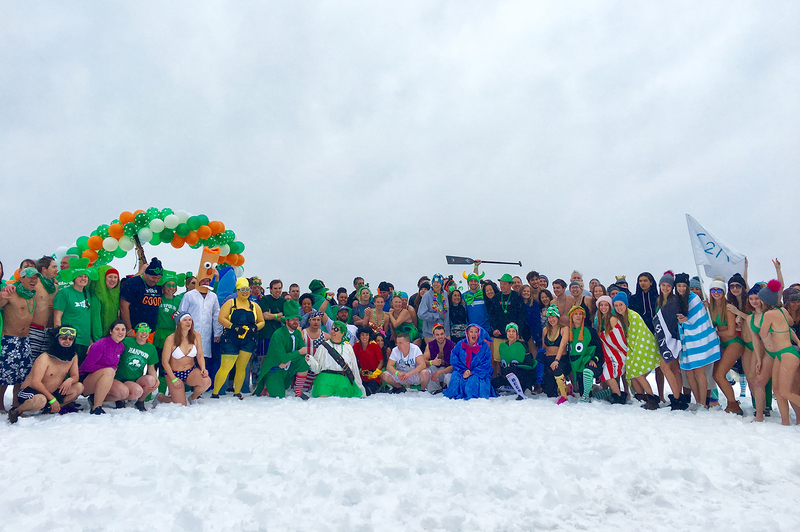 Splashers line up on the beach ready to take the plunge at the 2018 Harpoon Shamrock Splash. Photo by Katy Rogers. Before the sprint into the ocean, Boston 25 Meteorologist Vicki Graf was on hand to deliver a real-time weather report -- although the air temperature was 34 degrees, the water itself was a balmy 40 degrees! Even though everyone was already wet from the snow and rain before splashing into the Harbor, 2019’s Harpoon Shamrock Splash was the best one yet, with splashers enjoying delicious brunch burritos from Baja Taco Truck and fresh, hot chowder from Daily Catch while Mix 104.1 played hit music on the beach. Harpoon beers invigorated participants after their plunge. "I love when it snows on Splash day," said Bruce Berman, Director of Strategy and Communications for Save the Harbor/Save the Bay, who has splashed every year since the event began. "We're hearty here in New England and the only thing we love more than snow is the beach." 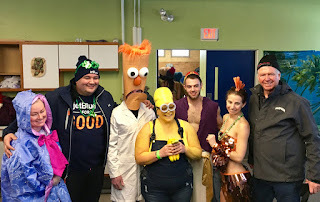 (Left to right) Kennedy Elsey of Mix 104.1, Donnie Todd of JetBlue, Joe Skahan (dressed as Beaker), Elaine Howley (dressed as a Banana Minion), Nick Russo (dresses as Aladdin), Jane Kepros (dresses as a goldfish), and Charlie Storey of Harpoon. Skahan and Howley took first place at the Harpoon Shamrock Splash’s costume contest. Both contestants won a round trip JetBlue flight. Russo and Kepros won second place and received items from the Harvey Traveler Collection. Photo by Matt Phillips. 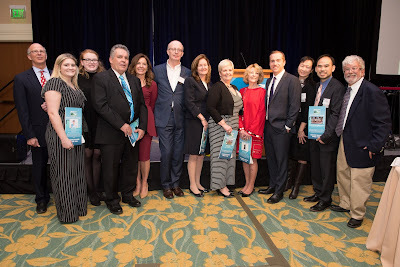 (Left to Right): Vicki Graf of Boston 25, Chris Mancini of Save the Harbor, Tani Marinovich of Save the Harbor, Donnie Todd of JetBlue, Bruce Berman of Save the Harbor, Michelle Palermino of Harpoon, Jessie Cox of Harpoon, and Charlie Storey of Harpoon. Photo by Katy Rogers. Participants won JetBlue flights and great Harpoon swag for reaching fundraising goals. Mary Cole from East Boston, who raised $1,530 and had the most donations to her splash -- who followed through on her promise to her donors to dye her hair green if she met her goal! -- and Trevor Etheridge from Jamaica Plain, who raised $1,655 were the top two fundraisers. They each won round trip JetBlue flights for their efforts. Left to right: Kennedy Elsey of Mix 104.1, Donnie Todd of JetBlue, Joe Skahan of Lynn dressed as Beaker from the Muppets, Elaine Howley of Waltham dressed as the Banana Minion, Nick Russo of South Boston dressed as Aladdin, Jane Kepros of East Boston dressed as a goldfish, and Charlie Storey of Harpoon. 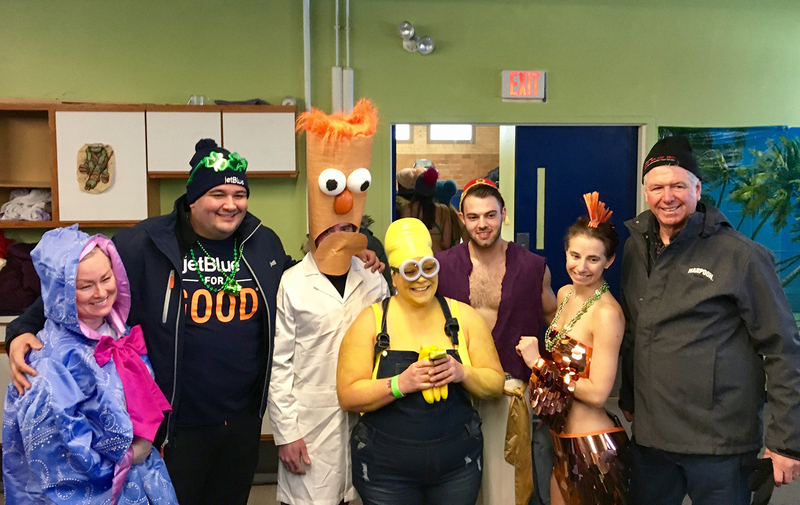 The two costume contest winners, Elaine Howley of Waltham, dressed as the Banana Minion, and Joe Skahan from Lynn, dressed as Beaker from the Mupets, won JetBlue flights as well for their creativity and enthusiasm. Second place costumed splashers were Jane Kepros of East Boston, as a Goldfish and Nick Russo of South Boston, as Aladdin. They won swag from The Harvey Traveler Collection. Special thanks to Kennedy Elsey of Mix 104.1 for once again serving as contest judge! Every splasher and contributor also had the opportunity to win prizes in two post-splash JetBlue flight raffles. Martha Laposata of Blue Cross Blue Shield of Massachusetts, Trevor Etheridge of Save the Harbor, and Carlos Fuentes of the East Boston YMCA strike a pose before splashing. 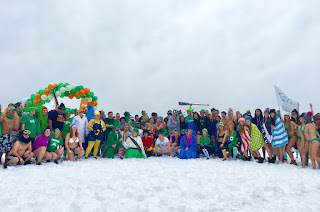 Etheridge raised $1,655 and was one of the top two fundraisers at the 2019 Harpoon Shamrock Splash. Photo by Matt Phillips. 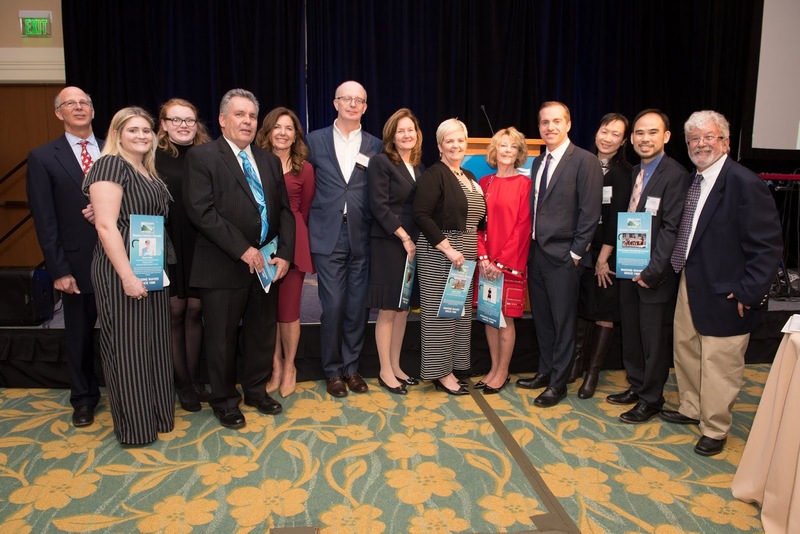 "At JetBlue, we are committed to our community and fun is one of our core values,” said Donnie Todd, Corporate Responsibility Liaison for JetBlue, who led a team of 30 participants. "More than 3,500 JetBlue crewmembers call Boston home, we cherish our harbor and proudly support Save the Harbor/Save the Bay and the work they do on the region's public beaches." Members of Save the Harbor/Save the Bay’s leadership team were also key fundraisers, but were ineligible to win JetBlue flights. 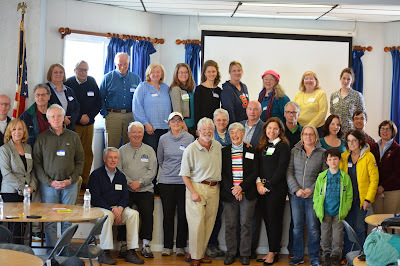 Save the Harbor/Save the Bay’s Chair of the Board, Joe Newman from Arlington, raised $3,401. Bruce Berman, Director of Strategy and Communications from Brighton, raised $3,115. Save the Harbor’s Vice President of Programs and Operations, Chris Mancini from Somerville, raised $2,577. The top five teams also raised significant funds at this year’s Harpoon Shamrock Splash. Save the Harbor/Save the Bay topped the list with $13,373, followed by JetBlue with $10,990 and the Piers Park Sub-Aqua Warriors with $4,950. Team YES raised $3,162 and Team Harpoon! raised $2,720. Bridget Ryan of South Boston and Kristen Barry of Cambridge return with their Harpoon beers after splashing. Photo by Katy Rogers. Participants could direct their fundraising to their favorite local beach. South Boston led with $6,547 followed by Constitution with $5,845 and Winthrop was third with $4,985. Participants raised $4,561 for Lynn & Nahant, $1,815 for Revere Beach, $1,540 for Wollaston. In addition, Dorchester beaches received $1,290 and Nantasket Beach received $1,060. 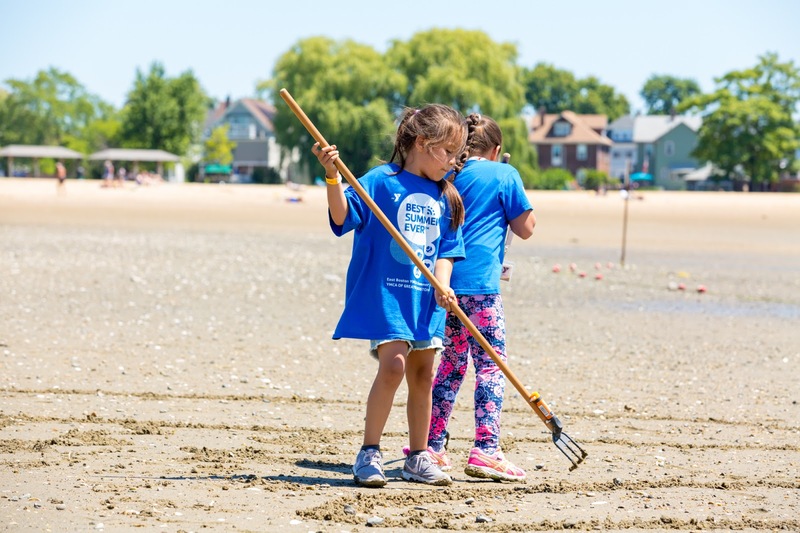 We would also like to thank the Massachusetts Legislature, the Baker-Polito Administration and the Metropolitan Beaches Commission for their support for our beaches, and our program partners at the Department of Conservation and Recreation, the Boston Centers for Youth and Families and the Greater Boston YMCA for their support. 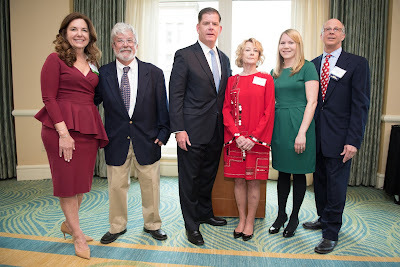 As the region's leading voice for clean water and continued public investment in Boston Harbor, the region's public beaches, and the Boston Harbor Islands, Save the Harbor/Save the Bay's mission is to restore and protect Boston Harbor, Massachusetts Bay and the marine environment and share them with the public for everyone to enjoy. For more information about Save the Harbor/Save the Bay and the work they do, please visit their website at www.savehtheharbor.org, their blog "Sea, Sand & Sky" at blog.savetheharbor.org, or follow savetheharbor on Facebook, Twitter, and Instagram. On Tuesday March 5th Metropolitan Beaches Commission Co-Chairs Senator Brendan Crighton of Lynn and Representative RoseLee Vincent of Revere convened a public hearing in Hull on the state of the Department of Conservation and Recreation's Nantasket Beach. More than 30 people gathered at the Nantasket Beach Resort in Hull to participant in this important discussion. This was the first of nine public hearings slated for the spring for the MBC and Save the Harbor/Save the Bay to receive input on the region’s public beaches from those who live near and who use the beaches. MBC Commissioners and Save the Harbor staff. Left to right: Susan Hamilton, DCR, Doug Gutro, Quincy Resident, Jason McCann, Hull Resident, Tani Marinovich, Save the Harbor President, Co-Chair Senator Brendan Crighton of Lynn, Co-Chair Representative RoseLee Vincent of Revere, Senator Patrick O'Connor of Hull, Bruce Berman, Save the Harbor, Carol Haney, Revere Resident, Representative Joan Meschino of Hull, John Reilly, Hull Selectman, Joe Newman, Chairman of the Board at Save the Harbor. The Hull hearing began with opening remarks from the MBC's Hull Commissioners, State Representative Joan Meschino, State Senator Patrick O'Connor, and local resident Jason McCann, who thanked everyone in the room for attending the hearing. Representative Meschino emphasized how Nantasket Beach is a "priceless treasure and a gem on the South Shore" not only as a recreational asset but also as an economic driver for the region. She encouraged everyone to engage fully in the discussion because the feedback that this Commission receives has been "invaluable" and it helps the Commissioners to "advocate on Beacon Hill for the assets we need to preserve and protect this resource." Senator O'Connor noted how important hearings like this are in order to build "support for initiatives at the state level and the local level, right here in Hull that are going to lead to dramatic improvement for our beaches." Commissioner McCann noted that at 26 acres and 1.3 miles long, Nantasket Beach Reservation is "a large part of our town and it's always been a large part of our history." He noted how many community discussions about the future of the beach are on-going, and encouraged people to think about everything from trash pick up to climate change during the breakout groups. 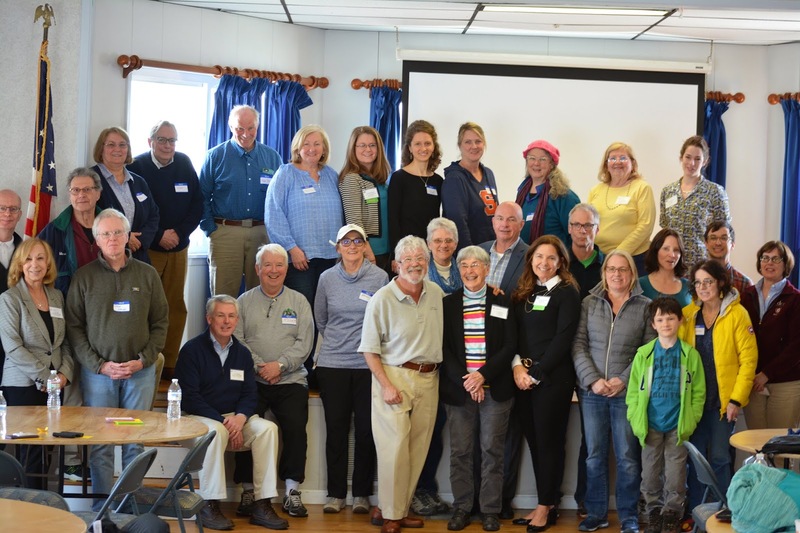 Next Save the Harbor's Bruce Berman gave an update on the state of Nantasket Beach, highlighting Nantasket Beach’s superb water quality ratings and the variety of free programming that takes place on the beach each year. Several popular events are supported by the Better Beaches Program, a partnership between Save the Harbor and DCR, including Hull Illumination and Endless Summer. Attendees then broke into discussion groups where everyone was able to voice their opinions and add suggestions for Nantasket. Many points were discussed in the small groups, which were then shared with the entire room, and topics ranged from the desire to see more winter activities at the beach to the number of shaded areas on the board walk. Some of the other themes of the discussion include accessibility, parking, climate change, and how much participants love Nantasket Beach! Better handicap access to the beach was a discussion point brought up by multiple groups. Suggestions included clearing rocks from the access ramps more often and all year-round, better advertising for beach wheel chairs, and having more wheelchairs available to rent. Folks would also like to see accessibility improvements at the bathhouses. Many groups also discussed issues surrounding beach parking, including concerns over limited public and inexpensive parking spaces and the price of parking being too high for short term visits. Some participants recommended implementing parking and charging stations for electric vehicles. Climate change was also a theme in the discussion, as folks reflected on the changes they've seen over the years, particularly due to erosion. Overall the groups were quite positive about all that is working well at Nantasket including high quality life guards, the great work from DCR staff keeping the beach and the bathhouse clean, and the wide variety of summer activities that take place each year. It's clear that people in Hull love their beach! Anyone who wishes to provide input, but was unable to attend Tuesday night’s hearing can fill out Save the Harbor/Save the Bay and the MBC's beach survey at tinyurl.com/BeachesSurvey. The survey is also available in Spanish at tinyurl.com/BeachesSurveyEspanol and in Chinese at tinyurl.com/BeachesSurveyChinese. 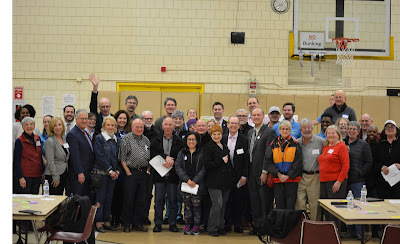 Save the Harbor/Save the Bay and the entire Metropolitan Beaches Commission is would like to thank the folks who came out to participate in this hearing, to the Nantasket Beach Resort for hosting us, and to everyone submitting feedback in the course of this process.